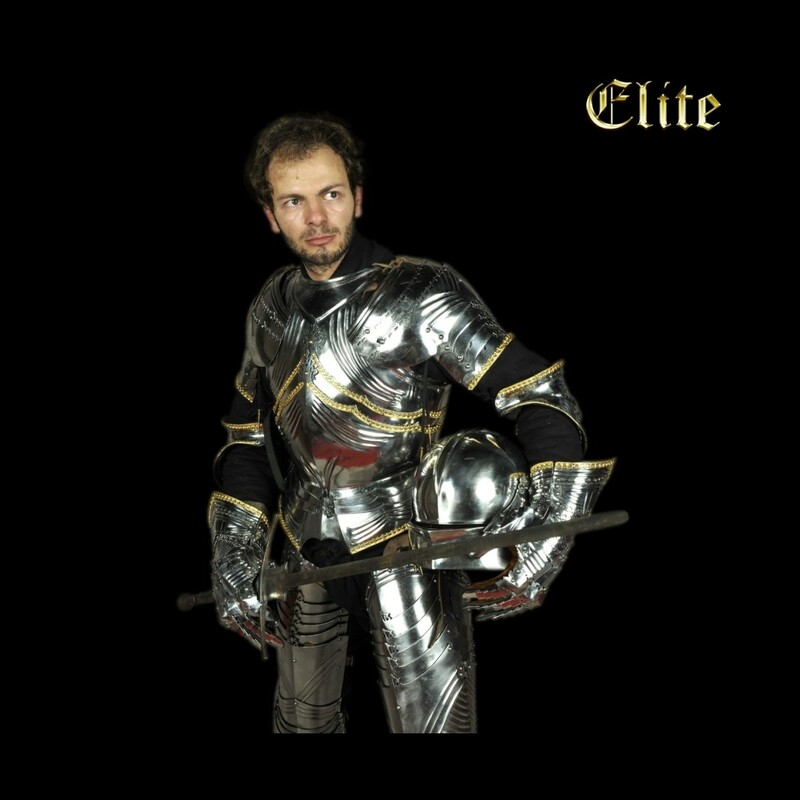 The refinement of the most beautiful museum pieces, brought to life: armors worthy of a prince. 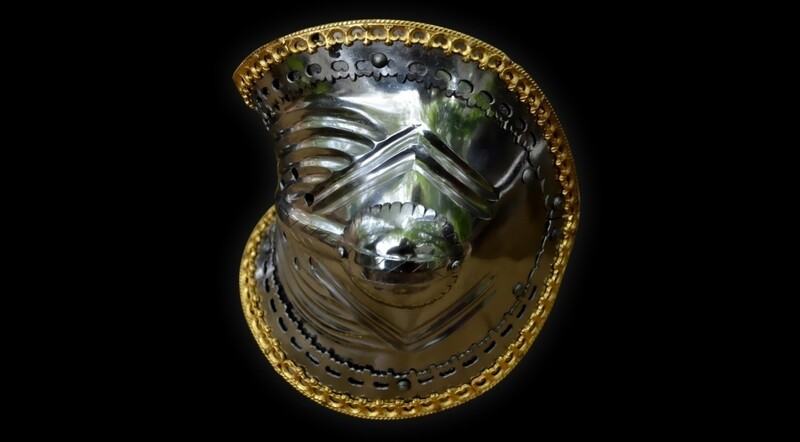 Have you always dreamed to offer yourself a perfect copy of one of the most beautiful armor in the world? Do you appreciate the refinement and elegance of the beautiful gothic decorations born of hours of patient file-work made in my workshop in Meung Castle-Museum? High quality armours... At affordable prices. 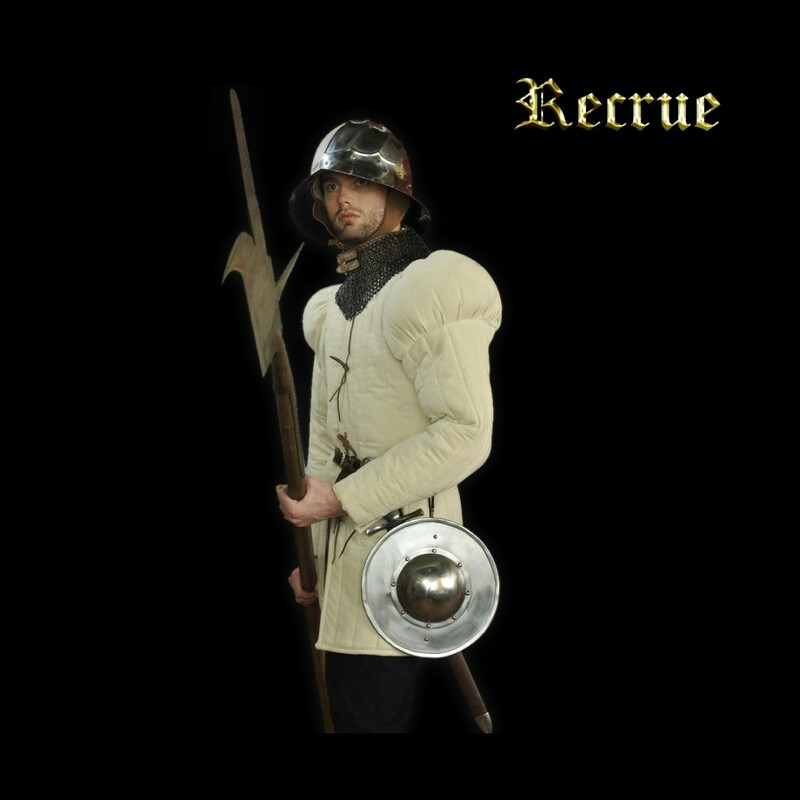 You are a beginner jouster or an experienced fighter and you dream of becoming champion of tournament or competitive "Pas d'Armes" foot combat, without breaking the bank ? 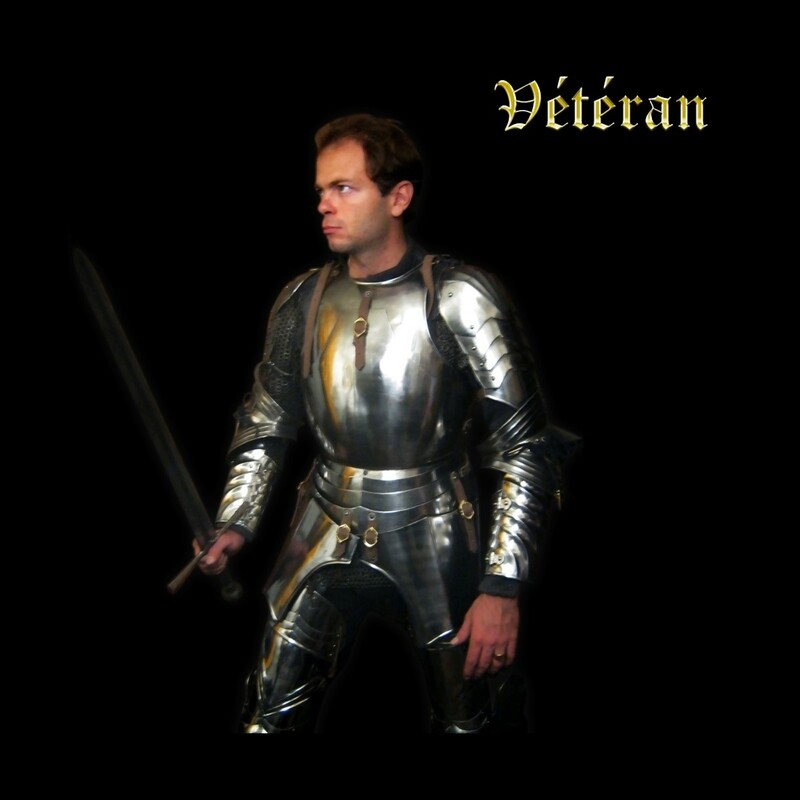 Our "Veteran" armours are just what you need ! Standardized production at very small prices to bring authenticity to everyone. 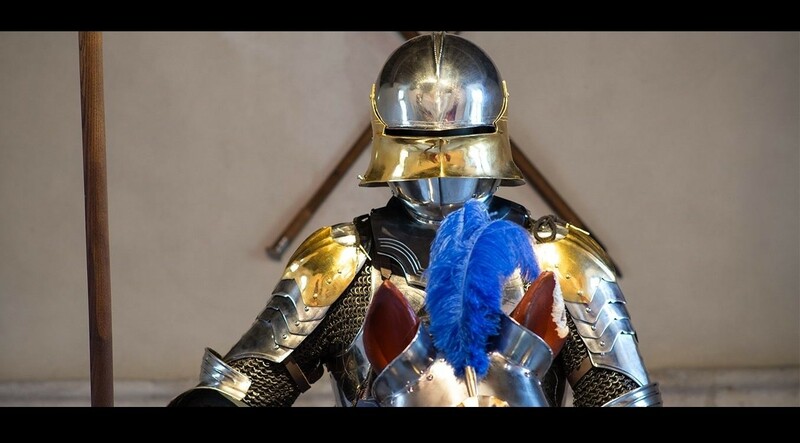 You wish that your young recruits could buy with confidence an affordable and historically accurate equipment, without the risk of being deceived by a seller of low-end armor that has never seen a real armor in his life ? 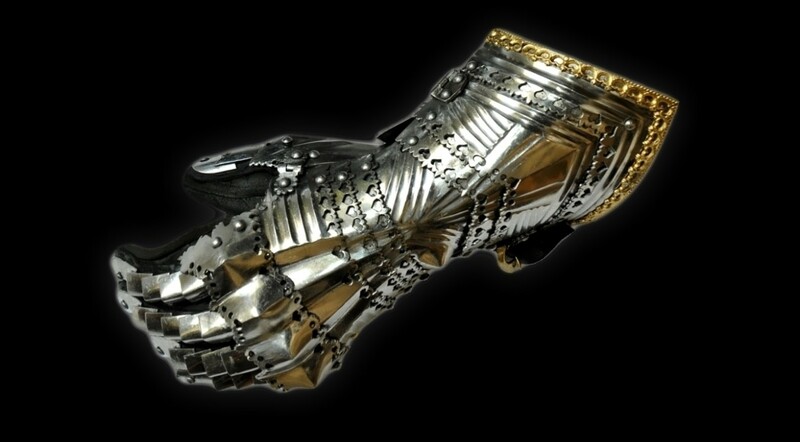 Recommend them Gabriel Armoury ! To provide these beginners with some honest equipments at hyper-competitive prices, we decided to take the bull by the horns and produce some of our items in serial, in order to drastically reduce the cost. They are not produced by us, but are the result of our patient work of research and design and can be customized on request.